Ever wondered what it would be like to pack up your family and move to France one day? This blog started with what happens when “one day” becomes this day. The dream began on June 24, 1999, on the terrace of a beautiful old farmhouse on one of Languedoc’s most celebrated vineyards, Daumas Gassac. I was there as a magazine writer travelling with a television crew filming a programme about this gorgeous region of France. Our formidable hostess had whipped up a delicious meal of couscous, chicken and vegetables and there were around 20 people at the enormous table – her husband, sons, girlfriends, friends, other visitors, the winemaker and the television crew. 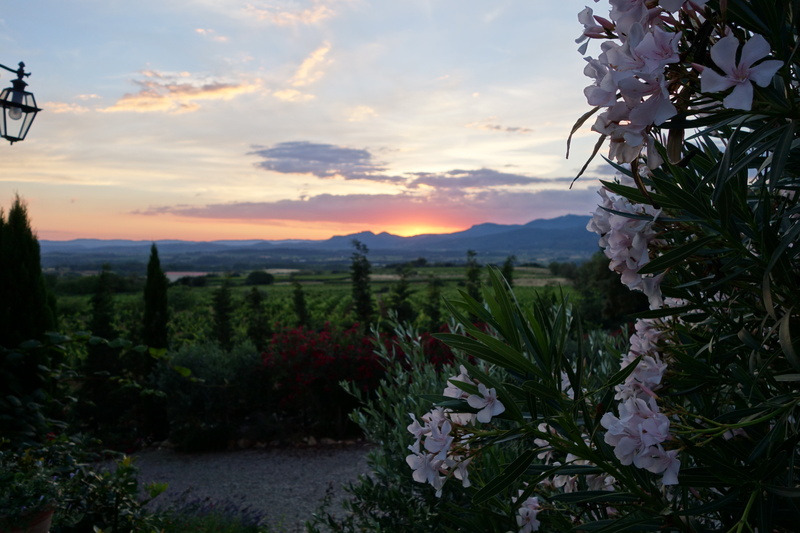 It happened to be my birthday and the view from the patio in the soft, early evening light was classic southern France: the purple of the lavender, the red of the laurel flowers, the green of the grapevines, the blues and purples of the hills and mountains beyond. Our hostess emerged with a freshly baked apricot tart ablaze with candles. A mixture of “Happy birthday” and “Bon Anniversaire” erupted and I felt a lump in my throat – I had seen Veronique picking the apricots herself earlier that day from trees outside the old mas. The twilight was long, a raucous flock of birds burst into flight overhead and, weirdly, the music playing was a mixture of drum and base and didgeridoo – selected by the long-haired Scottish cameraman who had kept everyone laughing the entire trip. The last light of the sun, the music, the warmth, the aroma of spices and lavender and wine and fruit and cigarettes, the cicadas and birds, laughter and banter in French and English. Bam. All over rover. That’s how you fall in love with a country. Before the year was out, I had returned on holiday. Lucky for me, the human love of my felt just the same about the place. So we went back again. And again. You’d think a person would remember making the momentous decision many years later to pack up the family and move to France for a year as a kind of belated OE (the classic New Zealand “Overseas Experience”). Yet I can’t remember a particular moment where we decided. The dream to live in France just became part of who we were. One day, we started telling people. Another day we started taking French classes. Another day we started researching places to live, schools for the children, visa requirements, travel arrangements. 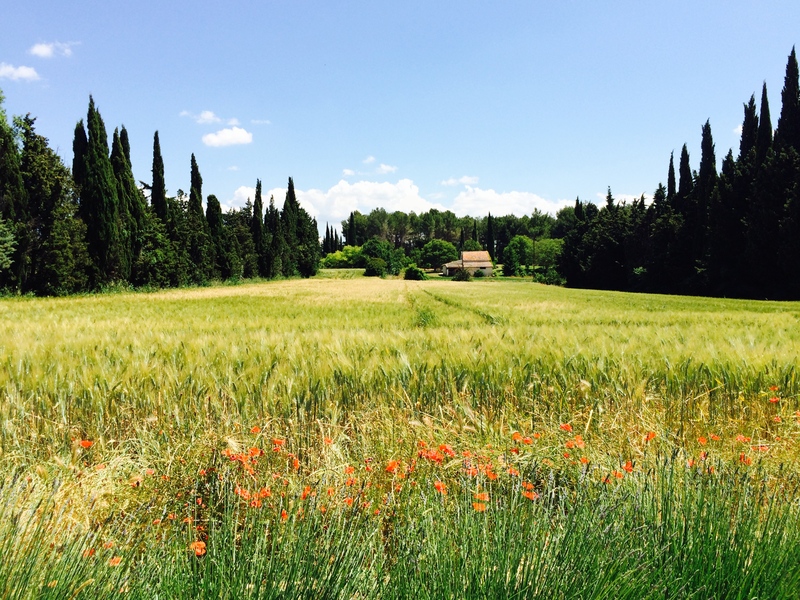 Going to France for a year had been something we had been going to do “one day” for so long that we were sick of talking about – and I am sure people were sick of hearing about it. Then, on March 9, 2014, one day became this day. This blog is about what happens next (with a few flashbacks). Now that the year, which turned into almost two, is over and the travel bug has sunk its deep into the family, this blog tells a few of the other stories as well.